The Computer center of IPGR „K. Malkov “ – Sadovo was established in 1982 and it is responsible for the preservation and updating of information about the samples stored in the National Genebank. All incoming plant materials are registered in the PHYTO 2000 electronic database in Microsoft ACCESS format by 20 passport descriptors, according to the international standards of FAO, ECPGR and Bioversity International. IPGR Sadovo owns the richest collection of seed samples stored in genebank for Southeast Europe. The total number of registered plant genetic resources in the database is 51060 samples. 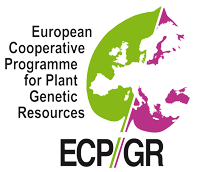 The National Genbank in IPGR Sadovo is a nominated by European Cooperative Program for Plant Genetic Resources (ECPGR) http://www.ecpgr.cgiar.org/ as a responsible center for Bulgaria. 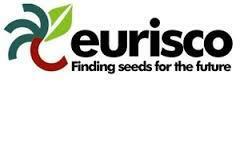 Data on the samples that are maintained in the National ex situ collection are included in the European electronic catalog EURISCO (http://eurisco.ipk-gatersleben.de/), according to a signed agreement in 2013. Passport information is exported annually mechanically according to a descriptor, approved by ECPGR. The Bulgarian Collection (NI PGRBGR) in EURISCO covers passport data for 63 713 samples, including BGR001/Institute of Plant Genetic Resources Sadovo – 59 292, BGR029/Dobrujda Agricultural Institute, General Toshevo – 3 857 and BGR005/Institute of Roses, Essential and Medical Cultures, Kazanlak – 564. From the total number with Bulgarian origin are 13 269 samples of 238 cultural species: 33 – cereal, 34 – grain legumes, 41 – technical, 29 – vegetables, 43 – fodder, 19 – medical and aromatic plants, 39 – permanent. In 2009 IPGR Sadovo signed a Memorandum of Understanding for establishing of European Genebank Integrated System (AEGIS). 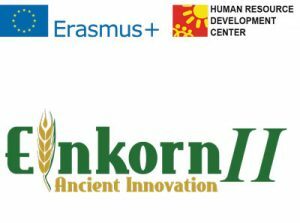 Under the agreement, IPGR Sadovo is involved in building a „virtual“ European Genebank, covering a European collection of „unique local germplasm“ (http://aegis.cgiar.org).